Whether it's lung cancer, breast cancer, prostate, colon, or another type of cancer, the approaches to diagnosis and treatment are different. Read below to see the best way to learn about your type of cancer. Cancer information is everywhere: internet, bookstores, newspapers, and even in emails from friends and family members. It can be difficult to distinguish between good and bad information. Before you start, it's important to look at each source of information with a critical eye, to decide if it's reliable. Who is writing the information, and what is their background? Do they have the right training and knowledge to be an expert in the field? ​Is the website truly providing information, or are they just advertising in disguise? Are they trying to sell you something? Does the website back up their statements with references? Good information is based on facts, not opinions. The website should link to supporting research articles. One of the very best sources of information is the U.S. National Comprehensive Cancer Network (NCCN). The NCCN is a non-profit alliance of 26 leading American cancer centers. 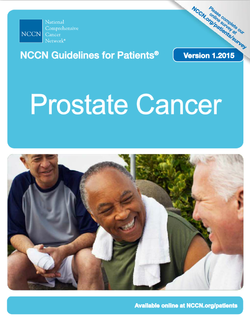 One focus of the NCCN is producing guidelines for physicians on how to treat cancer. These guidelines are written by world experts and are followed by many of the best cancer centers and doctors around the world. The NCCN also provides free patient information booklets for more than 15 different types of cancers. These booklets discuss the type of cancer, diagnosis, required tests for staging, and treatment options. Cancer.net is a website run by the American Society of Clinical Oncology (ASCO). The website contains specific information on more than 150 different types of cancers, but also on navigating cancer care, coping with cancer, research, and survivorship. The U.S. National Cancer Institute has a good patient information website covering many of the aspects of cancer diagnosis, treatment, and survivorship. For most patients, these three resources will give you most of the information you need to understand your type of cancer. Many readers have posted to say that sometimes, the standard patient information is not enough. If you need more information, look at the websites that doctors use. If there's something you still can't find, post a question. 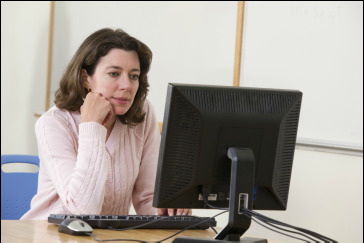 These patient information websites are outstanding, but they don't give you the tools you need to get the best quality treatment. Go to our Patient Resources to learn more.